4INFO specializes in analytics that unify offline and digital data, measuring in detail the performance of mobile and cross-channel advertising campaigns. 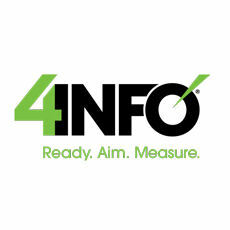 4INFO is a targeting tool using both home and mobile data to reach customers. 4INFO uniquely gives you the ability to accurately target consumers across all of their screens at unprecedented scale, and then provide full funnel measurement to evaluate campaign success. Its technology can be used to run multi-screen campaigns that deliver the bottom line results you demand.